We listed up our recommendations for you ! MonotaRO offers compressor hoses and more. You can buy them anytime from our Singapore online store. See more results of "compressor hoses"
Air Compressor and Hand Spray Gun F110 and other MonotaRO's offers ! You will find Airbrush Compressor Set and Airbrush Hose and more ! TAIFUJet Resin Air Nozzle Compressor Specification Flat and Width 42mm and others, don't miss it ! Mini Spray Gun and Universal Stainless Steel Hose Band Mini Kit and other MonotaRO's offers ! Air Reel and Air Hose Reel and others. You will find 11-20mm Hose Clamp and 46-70mm Hose Clamp and more ! 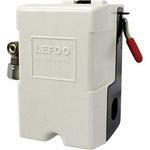 Our popular products as Air Gun and Air Compressor Pressure Switch can be viewed here ! Valve Spring Compressor and STRUT SPRING COMPRESSOR (BODY) and other related products. Flexible Metal Hoses and Flexible Hose and other MonotaRO's offers !